Prince Grigory Grigorievich Gagarin (1811-1893) was a Russian painter, military officer and administrator who served in Tiflis (Tbilisi) during the years of 1848-1855. 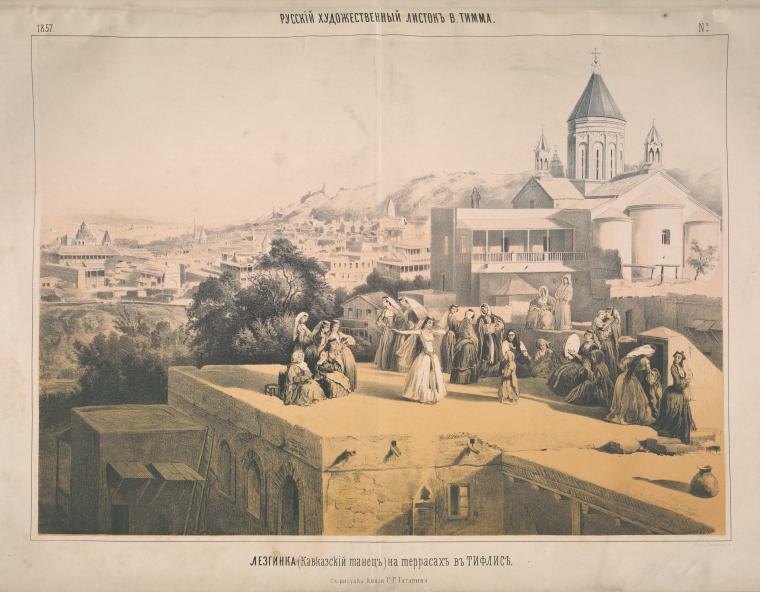 During his tenure he built a theater in the city, frescoed the Tbilisi Sioni Cathedral, and restored frescoes of several Georgian Orthodox cathedrals, including the Betania monastery. 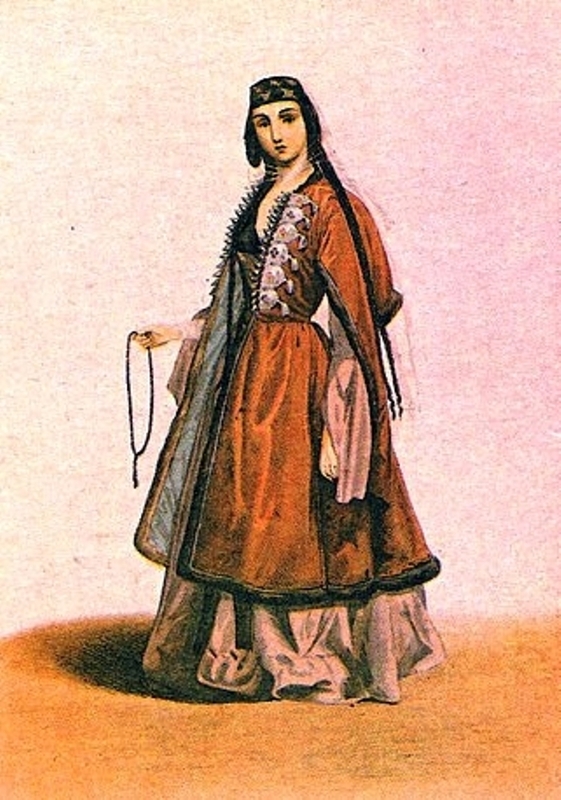 Gagarin’s paintings of women in Tiflis during the time of the Russian Empire provide a glimpse into the lives and characters of the privileged Georgian noble class. Several of his portraits are of Georgian princesses. 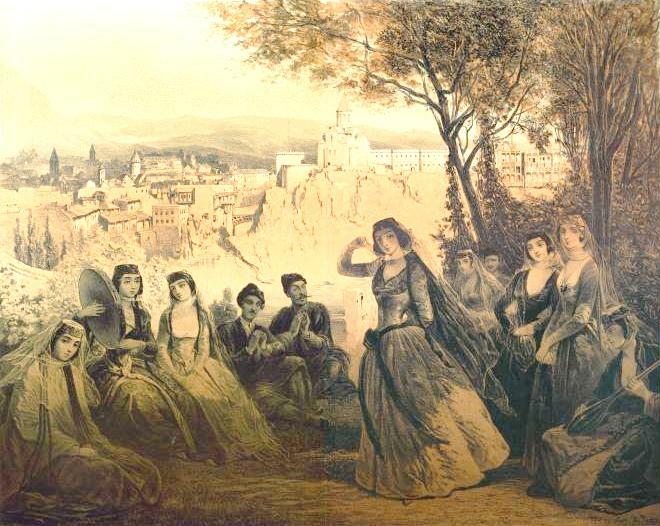 Lithograph by Vasily Timm of a Grigory Gagarin painting of Prince Alexander Chavchavadze’s three daughters dancing. 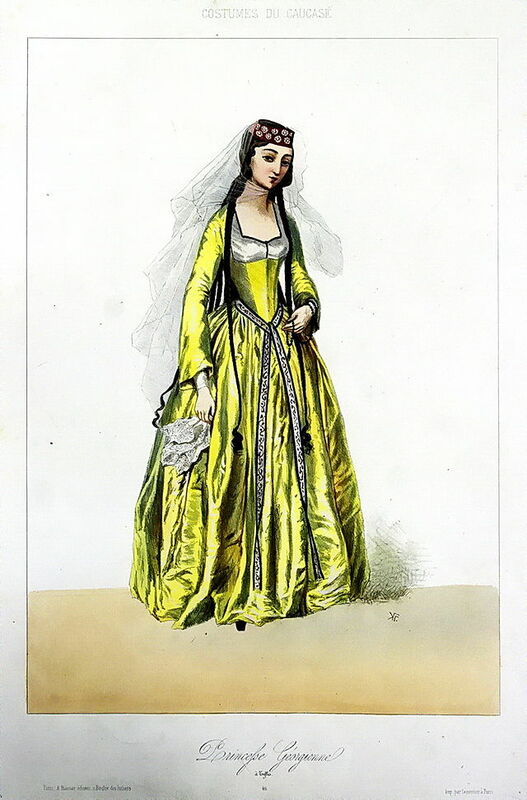 A Georgian princess by Grigory Gagarin. 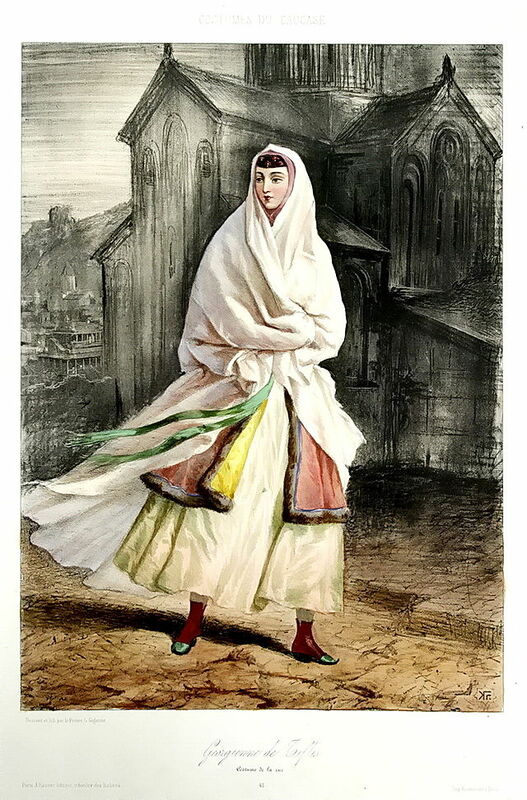 A Georgian woman from Tiflis by Grigory Gagarin. As a young man, Gagarin took private lessons from the famous Russian painter Karl Briullov. 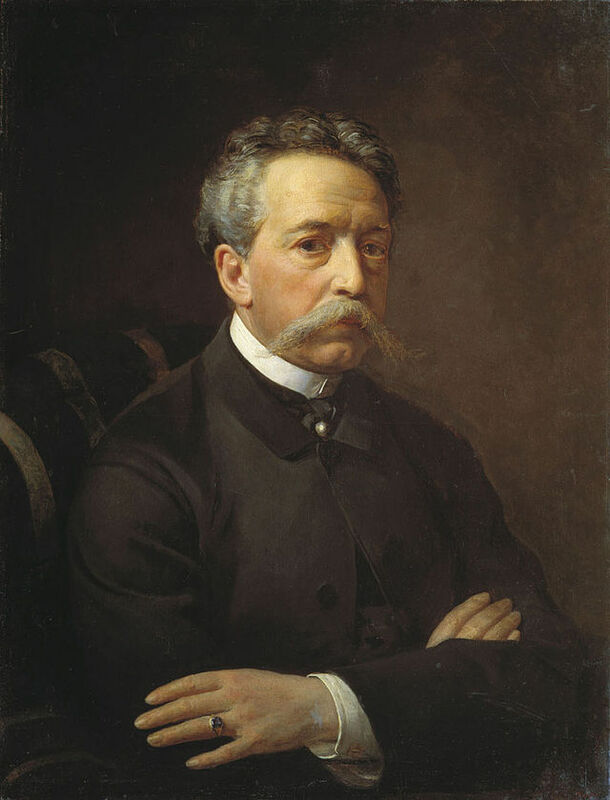 In 1859 he became the Vice President of the Imperial Academy of Arts in Saint Petersburg and remained there until 1872. He died in France in 1893. 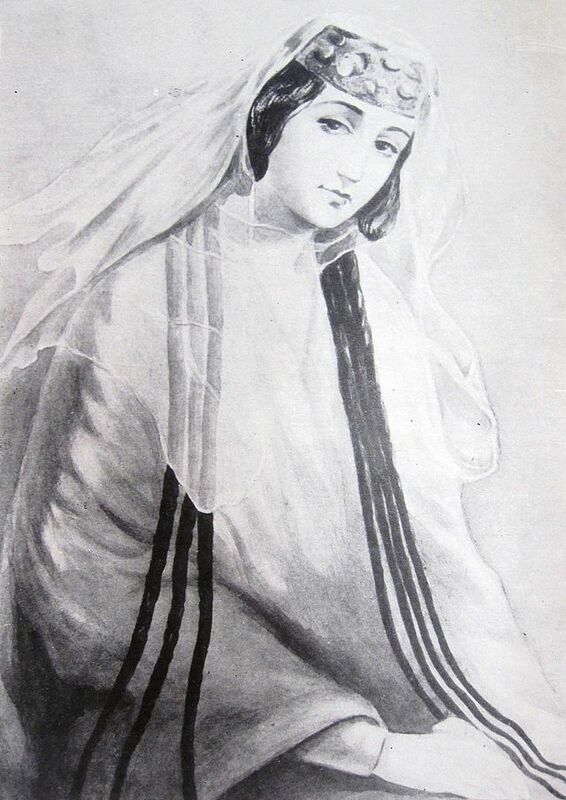 Princess Maiko Orbeliani by Grigory Gagarin.